Shilpa Shetty has been signed by the British reality TV to be on the popular show Celebrity Big Brother and has begun to air on the British TV. Recently there was an incident on the show that has led many to believe that Shilpa has being racially abused. It occured when her costar Danielle Lloyd made a comments about her English speaking abilities and told her to go back home. Only time will tell where this will go or not go! Vidya Balan rose to stardom from the start with Parineeta and then with Lage Raho Munnabhai , her latest role is in Guru . The movie will mark Vidya first onscreen smooches. In the movie she shares a smooches with fellow actor Madhavan. We will have to wait and see if the Vidya-Madhavan kiss will generate the same public response has the Hrithik Roshan - Aishwarya Rai kiss in Dhoom 2 . Upon returning from the world premiere of their film Guru in Toronto January 11, 2007 the talked about Bollywood couple, Aishwarya Rai and Abhishek Bachchan , announced that they were engaged on Sunday evening January 14, makar sankranti, one of the most auspicious days in the Hindu calendar. The date of the marriage has not yet been determined. Aishwarya is 33 while Abhishek is 30 have worked together in recent time in a couple of films like Dhoom 2 , Umrao Jaan , and the most recent Guru . Shah Rukh Khan (SRK) is currently busy promoting his game show, Kaun Banega Crorepati , and in regrads is shooting a music video. The video is directed by Ganesh Hegde, with music provided by the Vishal Dadlani - Shekhar Ravjiani pair. Guru was premiered in Toronto, Canada and Toronto mayor David Miller had invited actor Abhishek Bachchan and Aishwarya Rai . Madhavan, Mithun Chakravarti, Mani Ratnam and AR Rahman were also at the premiere. Amisha Patel has been choosen to be on the cover of Maxim India for the December edition. She is shown in the most hottest outfits showing of her curves. Her career took off fast with a great couple of movie but since has slowed donw considerably. Koffee with Karan to return in February 2007. Koffee with Karan is hosted by Karan Johar and the format is that he questions Bollywood stars on their life and more. John Abraham to play a role of a biker in Raaste . The film also will star Aishwarya Rai and Abhishek Bachchan and will be directed by Vicky Singh, Farhan Akhtar's assistant. 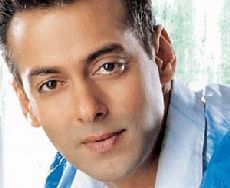 The film will be produced under the Balaji Telefilms banner by Ekta Kapoor. The mystery lady of Vivek Agrawal's I See You is Vipasha Agarwal . Vipasha Agarwal will be playing the role of the invisible girl that only Arjun Rampal can see. John Abraham is scheduled to make a guest appearence on the popular television show Big Boss. The show will be aired on Dec 15, 2006 on Sony Entertainment Television. The appearence is made as part of a promotion for John's release of Kabul Express which is also scheduled for Dec 15. Eros International has set the date of 23rd February, 2007 for the release of Provoked starring Aishwarya Rai , Naveen Andrews and Nandita Das, with music by AR Rahman . 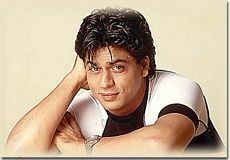 Shah Rukh Khan has been signed to play the role of Don in the sequel Don 2 . The movie will be directed by Farhan Akhtar. The sequel will being where Don left over.